Acrylic material is similar to Perspex, it is tough and durable with a high gloss ‘glass type finish’. Acrylic signs can be used both indoors and outdoors. 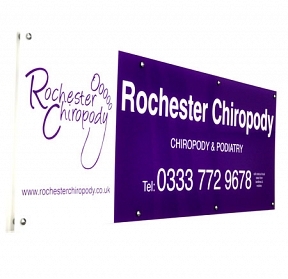 Acrylic signs offer high end first impression for your business. 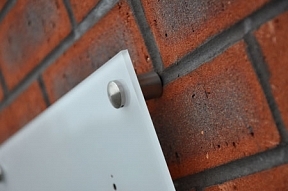 We offer an option for flame polished edges, this provides the finishing touch for you nice new business sign. 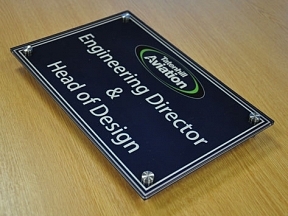 For the best impression we suggest mounting business signs that are made from the acrylic material by using stand offs. Stand offs should be mounted at no more than 600mm spacing’s. 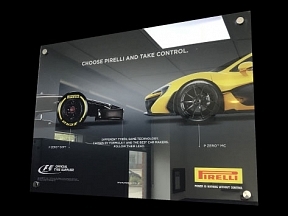 If you order your acrylic signs with stand offs, we drill the acrylic for you meaning all you have to do is mount it to your wall. Note: Stand-Offs are not included as standard. If you require stand-off mounts, please add the required quantity to your cart, we will then space them for you and drill your sign accordingly. Delivery time on this product is 3-5 working days, if you need it sooner please call us on 01283 576017 and we'll do our very best for you.